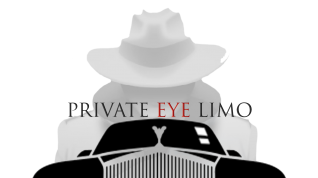 Private Eye Limo is your preferred choice for limousine service in Greater Atlanta. We strive to exceed our customers expectations by providing the highest quality of transportation. Proms, business travel and weddings are just some of our many specialties. Whatever your occasion is, let us get you there in style. If you need a private Hummer limo ride in Buford or Atlanta consider us for your transportation needs. With over 150 positive online reviews and a price that is equally complimentary, you will not regret booking a ride with us today. A 30% deposit locks in your evening and prevents others from stealing your fun. "WE DECIDED TO DO A SPECIAL CHRISTMAS SHOPPING SPREE with our kids this year... Thanks to PRIVATE EYE LIMO and our fabulous driver Mark ...we were able to DO IT IN STYLE!! The owner Cameron was beyond accommodating!! Our 5 children were mind blown!! Amazing experience and fantastic H-5 stretch hummer Limo!!!" We make it easy, simply book your reservation online and we'll be there! "Private Eye Limo was on time and they treated our party with great service!" Our qualified chauffeurs are thoroughly familiar with the area. Let us help you get to your destination with first class luxury.